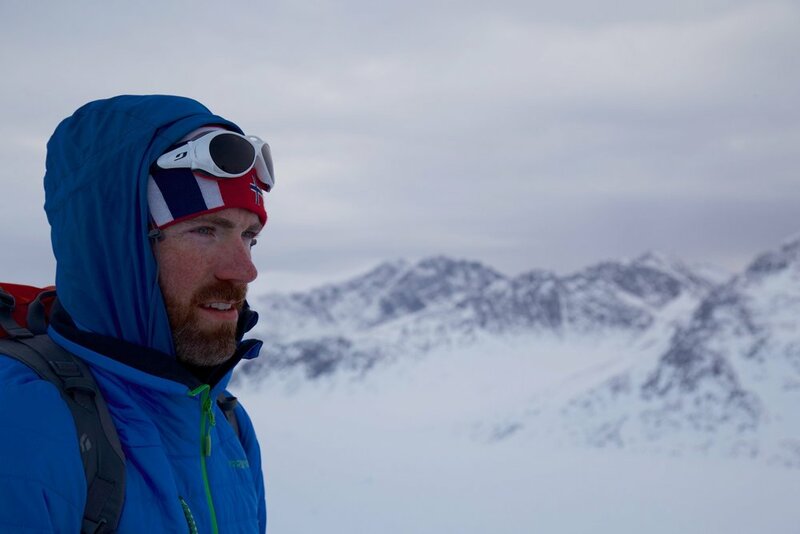 Hazel and Luke are off to the Sápmi region for their Arctic Connections ski expedition in April 2019. Click here for more information and to track them! 2019 is set to be an exciting year of endurance, with Luke running the Pennine Barrier Ultra in June - a 100 mile race with 4600 m of vertical ascent - and Hazel running the CCC race as part of the Ultra-Trail du Mont-Blanc (UTMB) series in Chamonix - 101 km with 6,100 m of vertical ascent. Hazel and Luke love exploring every single day and try to get into the outdoors as much as they can - it's not always about big journeys for them. However here are a few of the couple's bigger expeditions and challenges. 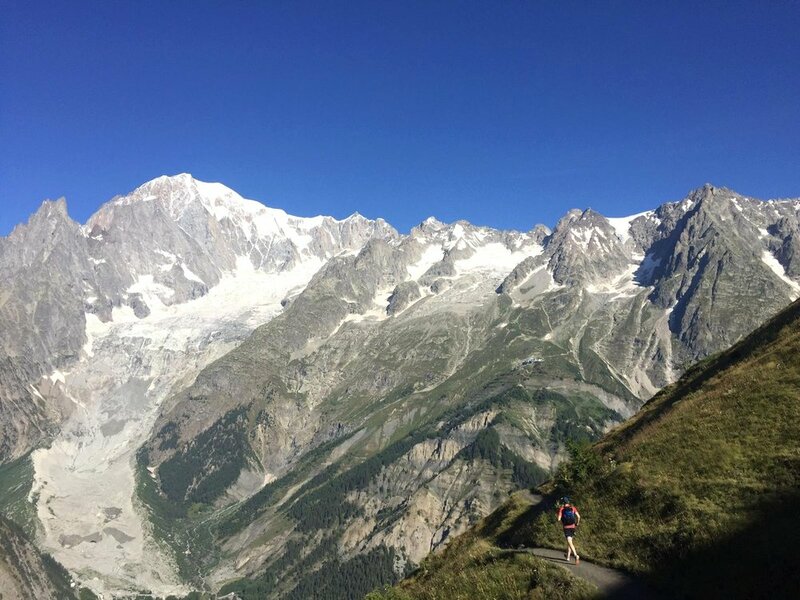 Hazel and Luke ran the route of the infamous Ultra-Trail du Mont-Blanc or UTMB over 4 days, covering 170km and 10,000m of ascent and descent. The trail circled the highest mountain in the Alps - Mont Blanc - and wove through the high alpine regions of three countries - France, Italy and Switzerland. The route reached an altitude of 2500m and included many technical climbs and descents. Throughout the entire run, Luke and Hazel carried everything they needed on their back. Read their blog about it here! Beginning in Zermatt beneath the iconic Matterhorn, Luke covered 170km and 11,300m of ascent and descent over 8 days, encompassing the mountainous regions of Switzerland and Italy, ending back in Zermatt. This gruelling high altitude hike included alpine mountain passes, technical scrambling ascents and glacier travel through some of the most breath-taking scenery in the Alps. Hazel and Luke left Chamonix on a six week back-country ski touring journey through the high mountains that connect the mountaineering capitals of Chamonix and Zermatt, the infamous "Haute Route". Crossing glaciers, climbing the Rosa Blanche (pictured here) and even climbing ladders, they stayed in mountain huts as they made their way to Zermatt. Click here to read their blog about the trip. Luke and Hazel summited Mont Blanc via the Refuge du Goûter after several days of acclimatisation in the high mountains around Chamonix. This included climbing Aiguilles Marbrées and Arête des Cosmiques (which ends by climbing straight onto the Aiguille du Midi viewing platform!). With them to the summit they had the honour of carrying the very first Royal Scottish Geographical Society flag. As acclimatisation for Mont Blanc, Hazel and Luke spent two days and one night at high altitude, climbing and sleeping on the Mont Blanc Massif. On Marbrées Ridge they ascended in superb summer conditions and abseiled down before crossing a heavily crevassed glacier to the Refuge de Cosmiques, where they spent the night at 3600 m. Starting before sunrise the next day they climbed the classic Arête des Cosmiques, which includes a particularly exciting finish climbing up a rickety ladder onto the Aiguille du Midi viewing platform! In 2017, Luke and Hazel took on 'the toughest footrace on earth" - the 156 mile (250km) multi-stage Marathon des Sables. In baking temperatures reaching 55°C, they raced through the Sahara desert carrying everything on their backs. In one particularly gruelling stage the couple had to cover 86km battling steep rocky dunes, mountain passes and sleep deprivation to reach their goal. 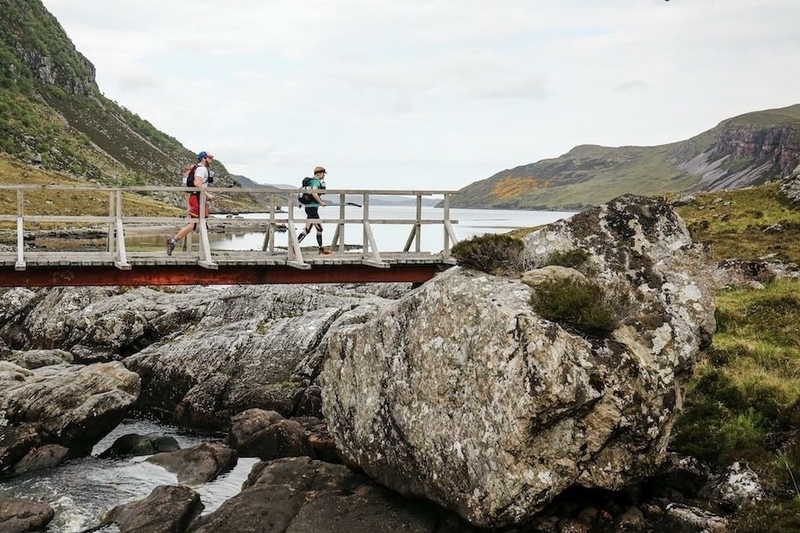 This eight day 250 mile (400km) ultra-marathon expedition race took Luke and Hazel on an incredible journey, linking ancient footpaths and remote tracks from Fort William to the furthest north-westerly point of the British Isles, Cape Wrath. The event which has already been described as ‘one of the hardest ultra races in the world’, with over 11,000m (33,000ft) of elevation – and the same again downhill – saw him run through towering mountains on one side and the crashing ocean on the other. 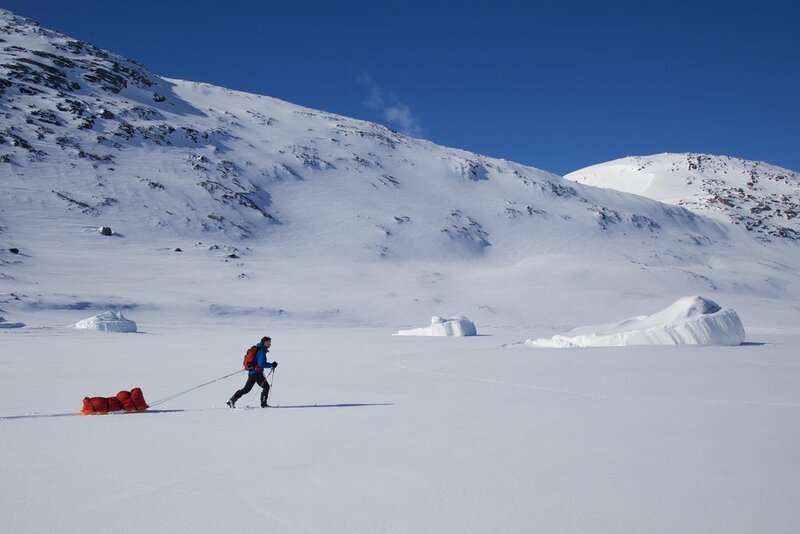 Stunning and inspirational scenery, remote wilderness and some of the most challenging terrain possible were just some of the highlights of this adventure. 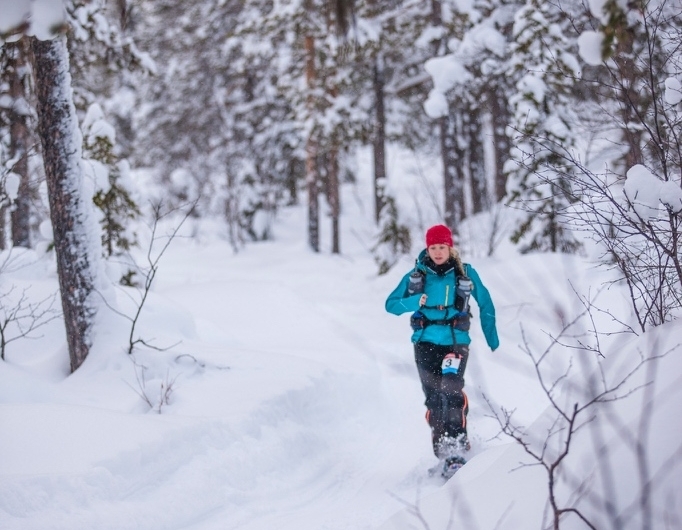 Hazel ran through Arctic Sweden, over frozen lakes and through snow-covered pine forests, where temperatures plummeted to -26 degrees. Staying in huts or teepees, she carried all her food and daytime equipment for this six day journey through this UNESCO world heritage site, home to the native Sámi people. Hazel and Luke climbed and scrambled up and along these rocky Munros. The "In Pinn" rises from the summit of Sgurr Dearg and is the second highest munro on Skye, known as the most difficult of the Munros, requiring a rock-climb and an abseil. Curved Ridge is a dramatic Grade 3 scramble (or moderate rock climb) up to the summit of Stob Dearg, with committing sections. Aonach Eagach is famed as the narrowest ridge on the British mainland and is a legendary Grade 2 scramble (pictured left), with sheer drops on both sides. 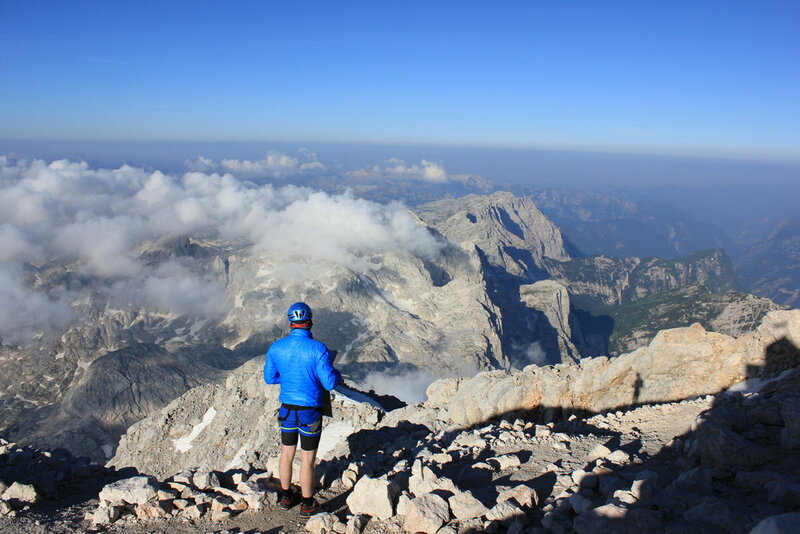 Luke and Hazel climbed the highest peak in Slovenia, setting off from the Triglavski dom na Kredarici (Triglav hut - at 2515m) before sunrise for the final rocky scramble to the summit. The only ones up there, they had breathtaking views looking out over the clouds, before running back down to the valley. 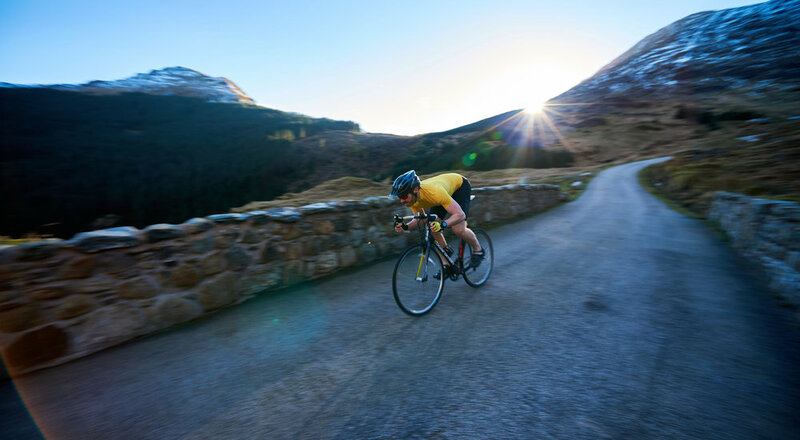 The Kindrochit Quad is a gruelling challenge through some of the most spectacular and historic areas of the Scottish Highlands. As a team, Luke and Hazel swam 0.8mi across Loch Tay, ran 15mi over seven Munros, kayaked 7mi then cycled 34mi round Loch Tay - moving every minute of the whole race together. They were delighted to collect the prize for second mixed team! Hazel successfully climbed Kilimanjaro, the highest mountain on the African continent, carrying all her own equipment and food for a week of ascent and descent, with a starting pack of around 15kg (plus water). 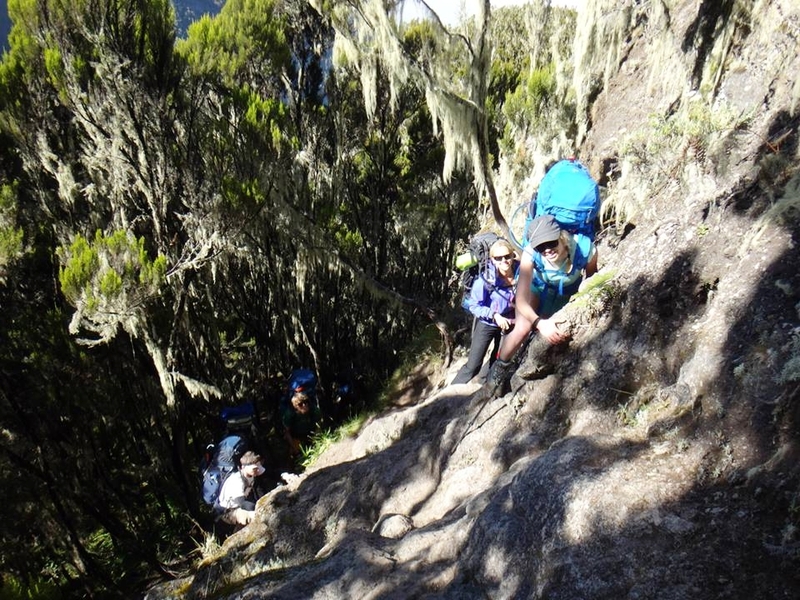 Starting in the hot and humid jungle, the lesser-climbed Umbwe route ascends quickly up this dormant volcano. Summit day includes a 2am start to scramble up the Western Breach in darkness, with a reward of sunrise and extensive views from the top.